Travelling broadens one’s mind as it provides different lessons, from cultures, lifestyle and traditions of different regions. 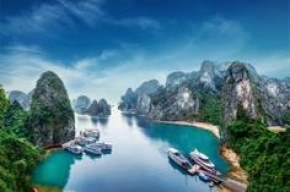 Today’s deal provides yet another exciting travelling experience where you get to learn to live the life of a fisherman in Hanoi. You’ll find more than just a wonderful experience as you also get to have a meal with a local family where you can share and exchange different life experiences and cultures. Get out of a usual travel routines and get a once-in-a-lifetime opportunity to try something that’s out of your comfort zone.